This combination washer/dryer from LG is compact and ventless to fit perfectly into apartments, condominiums and small spaces. And with 14 wash cycles, 10 option selections, 3 soil levels and 5 rinse temperatures, you'll have the versatile wash options you need to perfectly clean your wide variety of laundry items. LG's 6Motion technology combines up to 6 different wash motions to provide a revolutionary cleaning experience. The 4-tray dispenser can dispense prewash, main wash (with liquid detergent cup), bleach and fabric softener. For drying, you can choose from 5 different drying levels and utilize the machine's manual dry time presets. 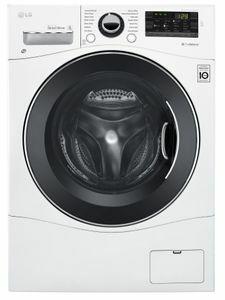 Plus, thanks to LG's LoDecibel Quiet Operation technology, you can be assured the washer/dryer runs quietly for a non-disruptive laundry experience. With LG's SmartThinq Technology, you can download new cycles to the washer/dryer, and diagnose any problems that might arise with the appliance. 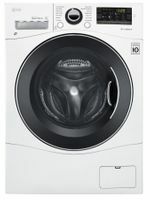 For a compact home washer/dryer that delivers a powerful wash performance and comes equipped with the best convenience features in the industry, choose LG's superb WM3488H series washer/dryer. Towers of towels, piles of sweatshirts, and a mountain of jeans Go for it. Large capacity (2.3 cu. ft.) tub lets you do more laundry in fewer loads. That's time saved and sore backs avoided. 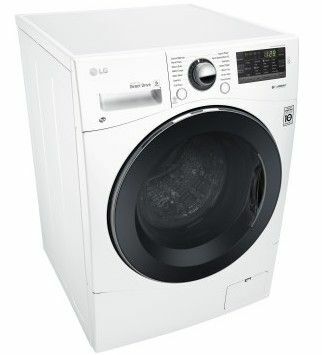 This compact washer is perfect for apartments, condos or small spaces at just 24 inches in width. Cotton/Normal, Bulky/Large, Baby Wear, Perm. Press, Delicates, Hand Wash/Wool, Speed Wash, Tub Clean, Sanitary, Heavy Duty, Drain+Spin, Wash+Dry, Sports Wear, Downloaded Course. Heats water up to 158F to remove the toughest stains and bacteria. 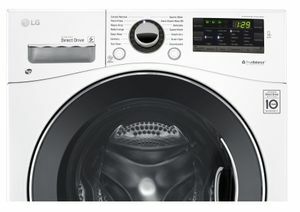 Combines up to 6 different wash motions for the ultimate cleaning technology. Allows you to download new cycles directly from your smartphone, and diagnose any problems that might arise with the machine. Diagnose problems without ever needing to call an LG representative. The app can record and analyze the special tones emitted by Smart Diagnosis units and can instantly provide troubleshooting steps. 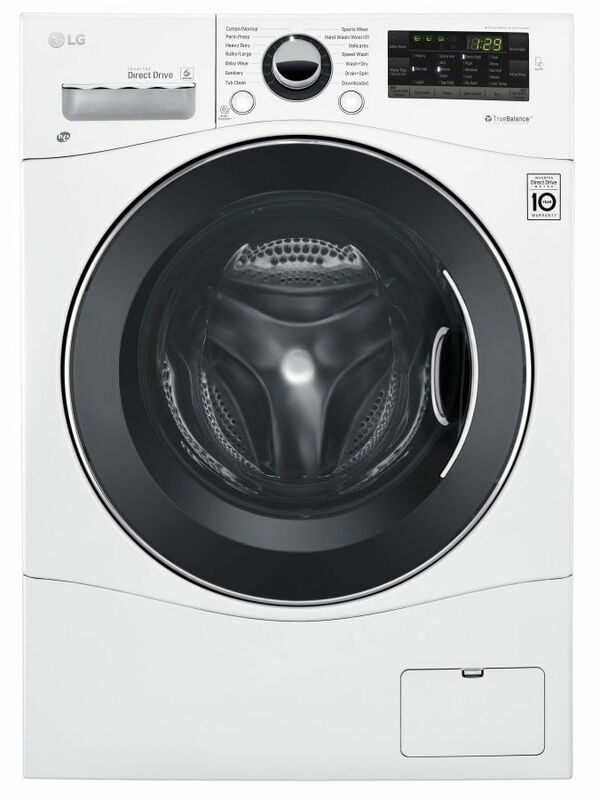 The LG TrueBalance anti-vibration system is designed to reduce washer noise and vibration for smooth, quiet performance in any room of the house, even if it's on another floor.